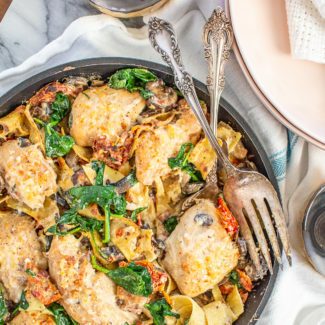 These 10 Easy Chicken Recipes are some of my favorite go-to dinner recipes. 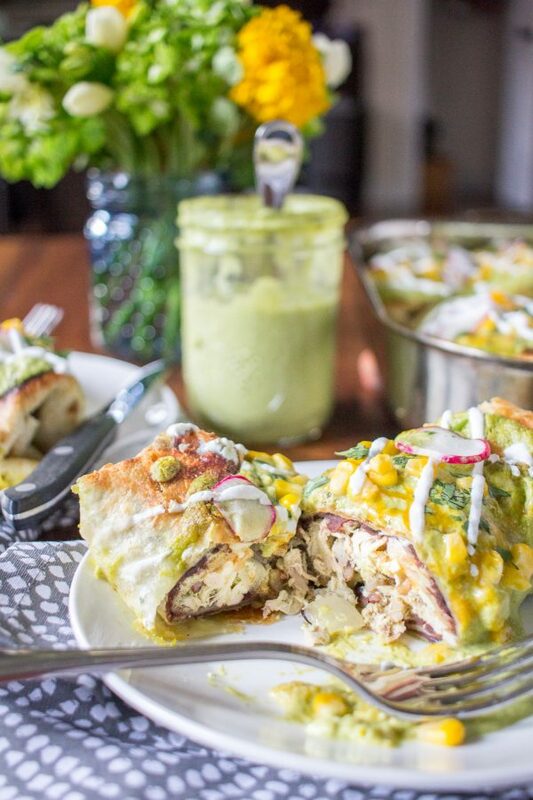 This list has everything from Tex-Mex favorites to Italian classics. There is a little something for everyone, and hopefully one of these chicken recipes will become your new favorite. 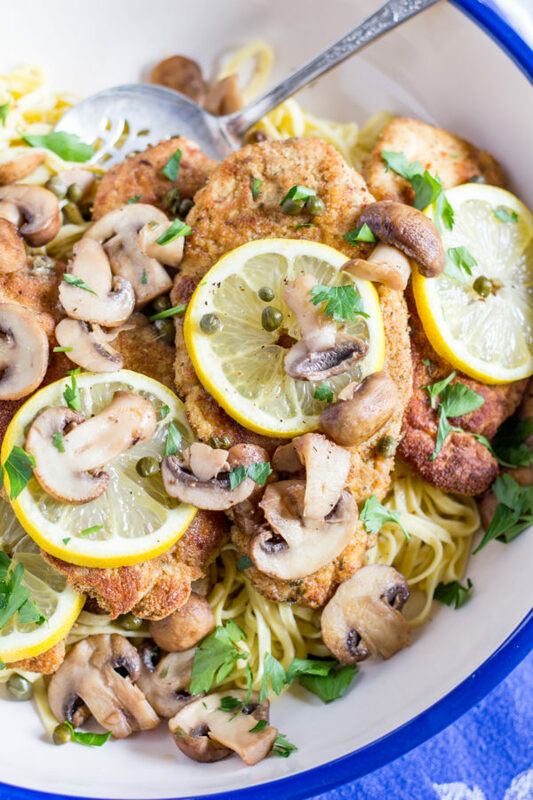 I love the fresh flavors of Chicken Piccata. 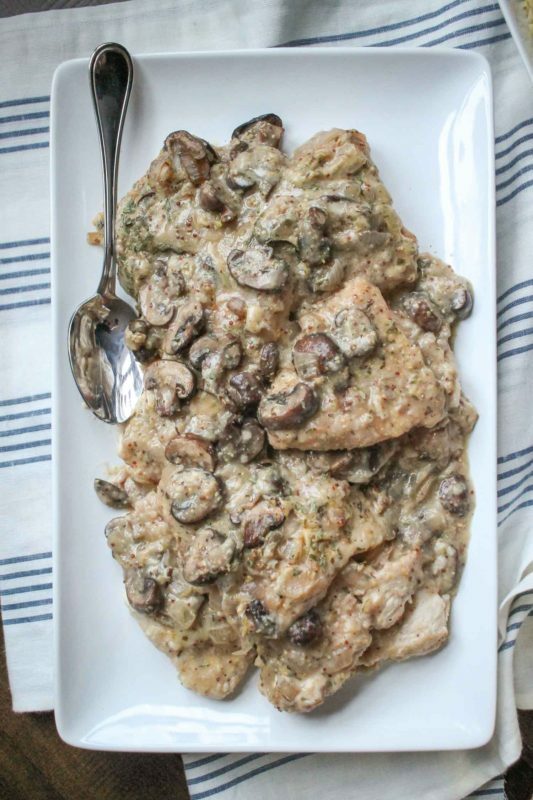 I put a spin on this classic Italian dish by adding mushrooms, which just go so well with the light lemon butter sauce. This is the type of meal that is elegant enough to serve at a dinner party, but quick enough to make for a weeknight meal. This is my favorite meal on this list! 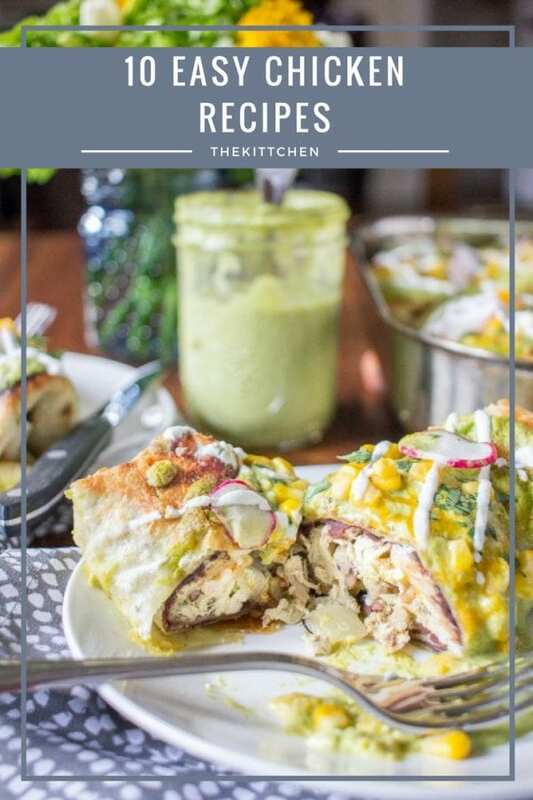 These baked chimichangas are made with shredded chicken, refried beans, rice, and cheese, and smothered in a delicious homemade poblano cream sauce. Sometimes I make a big batch and eat this on repeat throughout the week. Everyone should know how to make roast chicken with gravy. It is one of those stepping stones to adulthood. 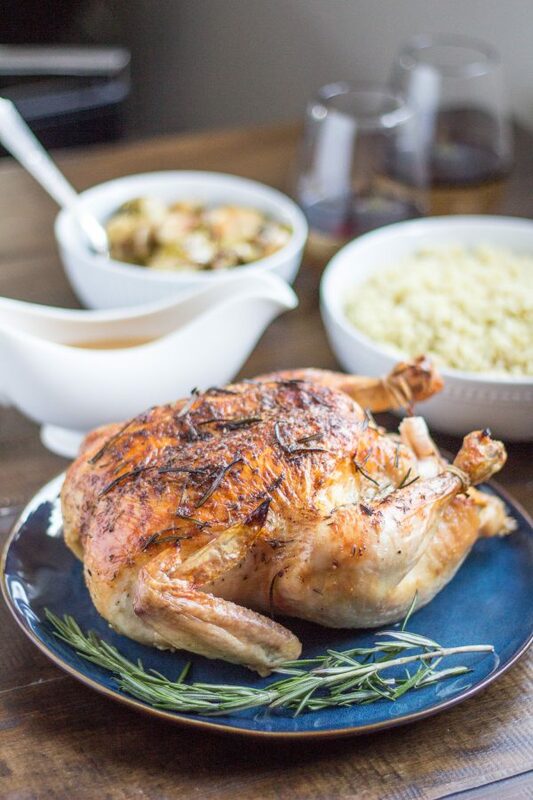 While roasting a whole chicken may seem daunting, I promise, it is very easy, and once you master roasting a chicken you will be able to roast a Thanksgiving turkey with ease! This blog post has detailed photos and step by step photos to show you how to roast a chicken. This is one of the most popular recipes on this site, and it’s perfect for a special occasion or date night. It takes under an hour to prepare, and the scent of the mushrooms simmering in sherry will make your mouth water. 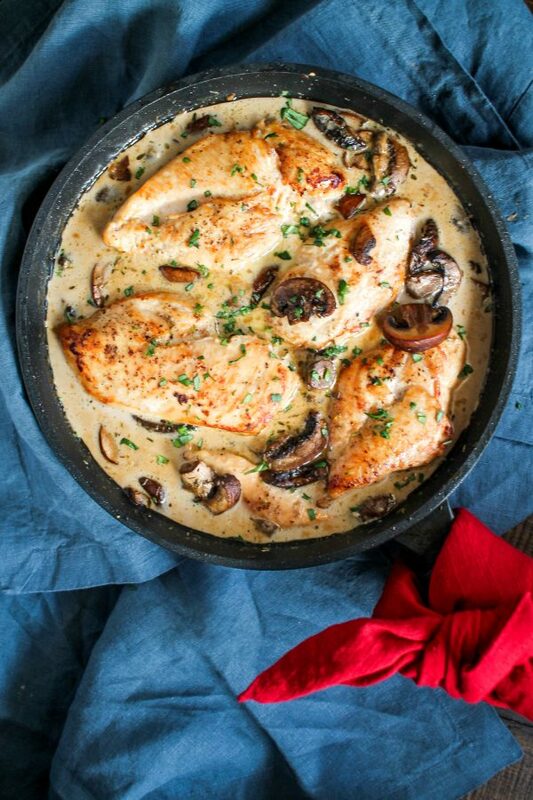 The chicken gets extra tender as it cooks in the rich sherry cream sauce, and the extra sauce is delicious over pasta, rice, or mashed potatoes. 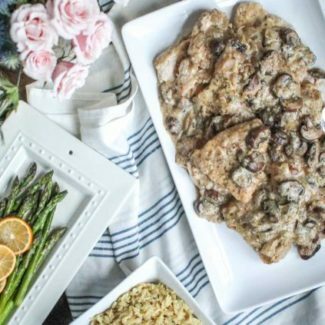 Mustard Chicken is one of my Mom’s go-to recipes and we ate it frequently when I was growing up, and I still love it today. You can use your favorite mustard to make the sauce (I usually pick a stone-ground or spicy brown), and the rich and creamy sauce gets an boost of flavor from onions and mushrooms. 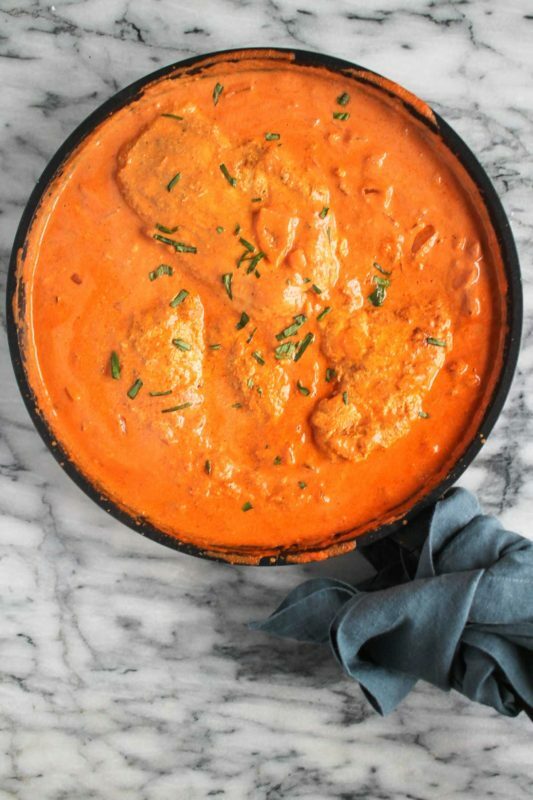 The chicken gets super tender and flavorful as it cooks right in the sauce. 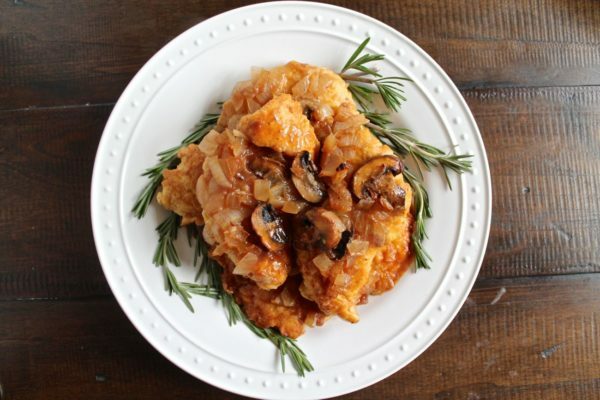 This is one of my favorite easy chicken recipes, and Charles often requests it. This is another recipe that my mother used to make all the time. 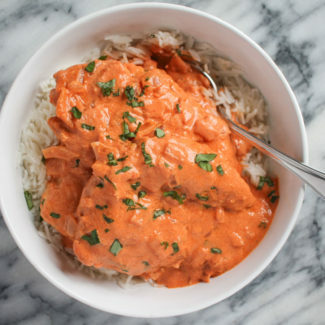 Chicken is marinated in soy sauce and garlic and served in a creamy spicy peanut sauce. I took my mom’s recipes and lightened it up, so this version is made with milk instead of cream, and adding flour to the sauce prevents it from separating. This Indian restaurant classic is easy to make at home – it is an essential recipe for people who love Indian food but who don’t live near an Indian restaurant. (When you grow up in Maine you are familiar with these struggles). Another benefit to making chicken tikka masala at home is that you have complete control over the spice level. You want to let the chicken marinate for a few hours, but the active preparation time is under an hour. 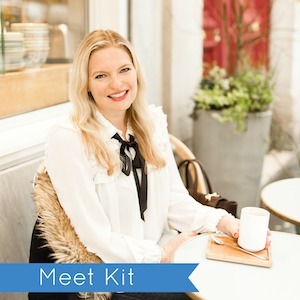 This recipe is the most popular recipe on The Kittchen. It has even been saved on Pinterest over 200,000 times! 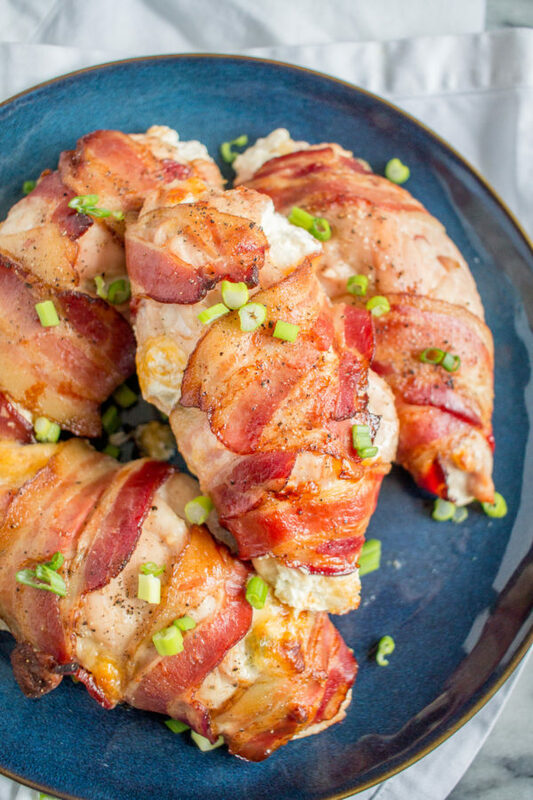 Chicken is stuffed with cream cheese, Mexican cheese, and chopped jalapeños and then wrapped with bacon and baked. It is cheesy spicy deliciousness with plenty of bacon. 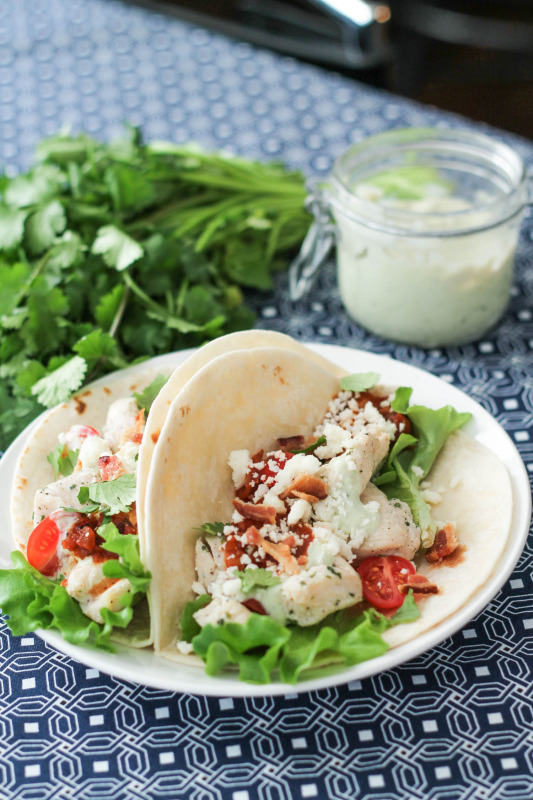 These tacos were inspired by my love of Cobb Salad and ranch dressing. 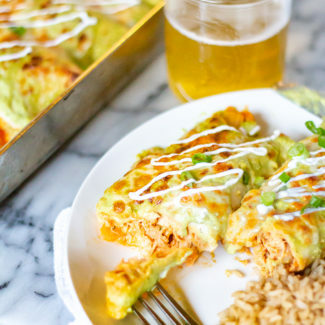 Chicken is seasoned with ranch and sautéed, and then used to fill tacos along with lettuce, tomato, bacon, and an avocado crema. 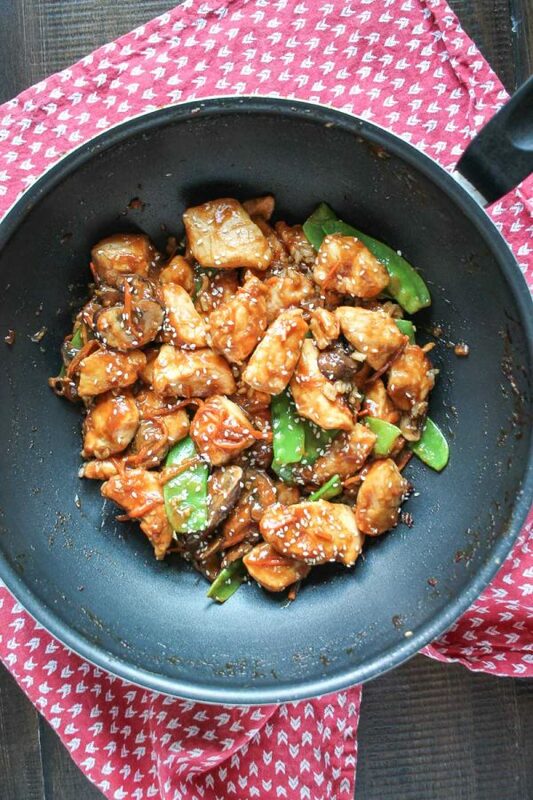 You can make this simple sesame chicken in just 20 minutes! Chicken, snow peas, carrots and mushrooms are coated in a sweet and spicy sesame sauce and served over rice. You can customize this dish to incorporate your favorite veggies too! This is the zero fuss meal that I turn to on busy nights when I don’t really feel like cooking. 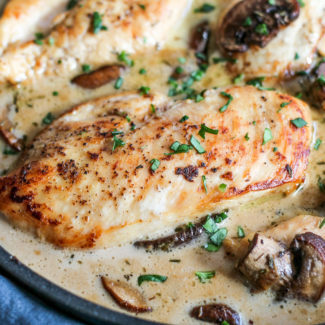 This classic chicken marsala recipe is the perfect make-ahead meal to serve at a dinner party. 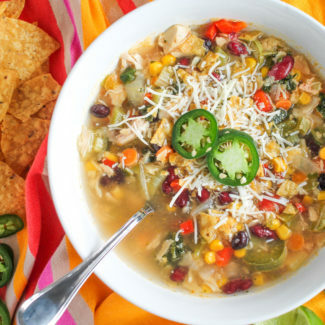 It is a bit more time intensive than the other recipes on this list, but is it oh so good. 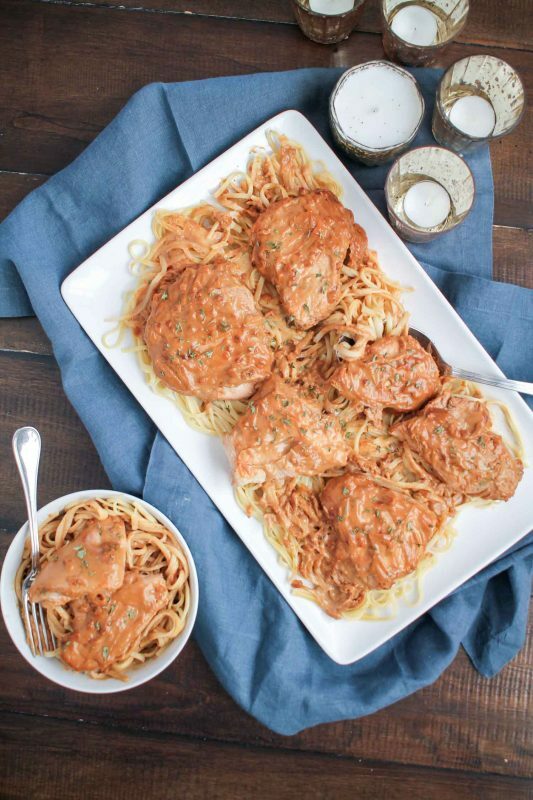 Do you have any go-to easy chicken recipes? I would love to hear about them in the comments!